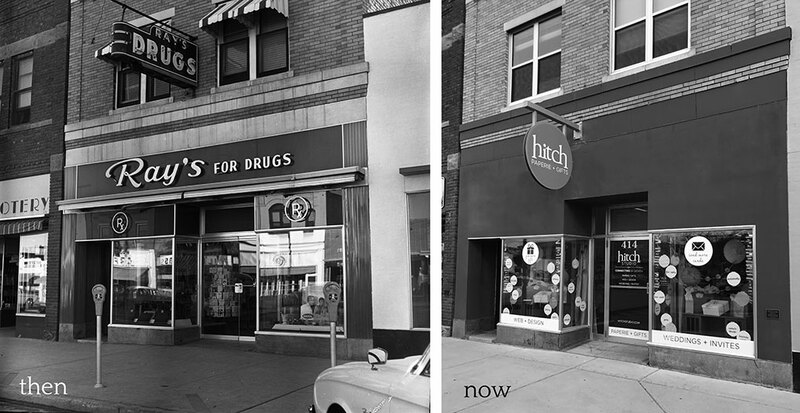 This Wednesday, February 6, 2019, Hitch Studio celebrates five years in business. We have so much to be thankful for — our supportive community, our sweet customers, our loving families, and our encouraging mentors and friends. That’s what this post is all about. We’ll be sharing lessons we’ve learned along the way, some of our favorite memories, and thanking everyone who helped us on this journey. Also, this week begins “5 Days of Giveaways” at Hitch Studio! On Monday, we’re giving away $500 toward a wedding styling package. On Tuesday, we’re giving away $500 toward a website. On Wednesday, we’re giving away a gift basket full of awesome Hitch Studio Paperie items. On Thursday, we’re giving away free business card design. On Friday, we’re giving away $100 off wedding invitations + a Wedding Day Designer (planner and guide) + a set of wedding mugs! Follow us on Facebook to enter for each of these drawings! Wednesday’s drawing is in-store only, so stop in for cookies and discounts that day to enter! We’re having sales like $1 off Valentine’s Day cards and 50% an entire section of the store. We’re also presenting at 1 Million Cups on Wednesday morning, February 6. We’ll be speaking about “100 Things We Learned in 5 Years of Business”. Join us for all of it this coming week! Ready to go way back? 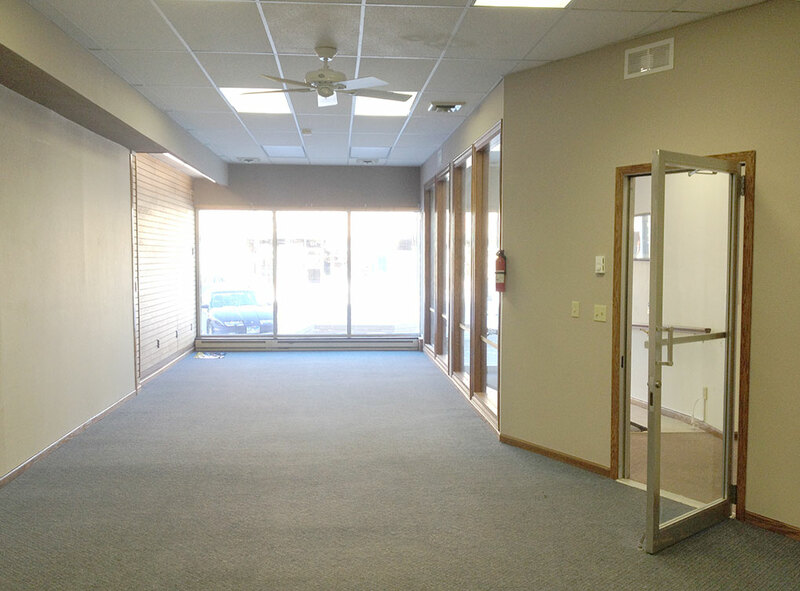 Take a look at this photo from our very first location on Main Avenue in Brookings, South Dakota! 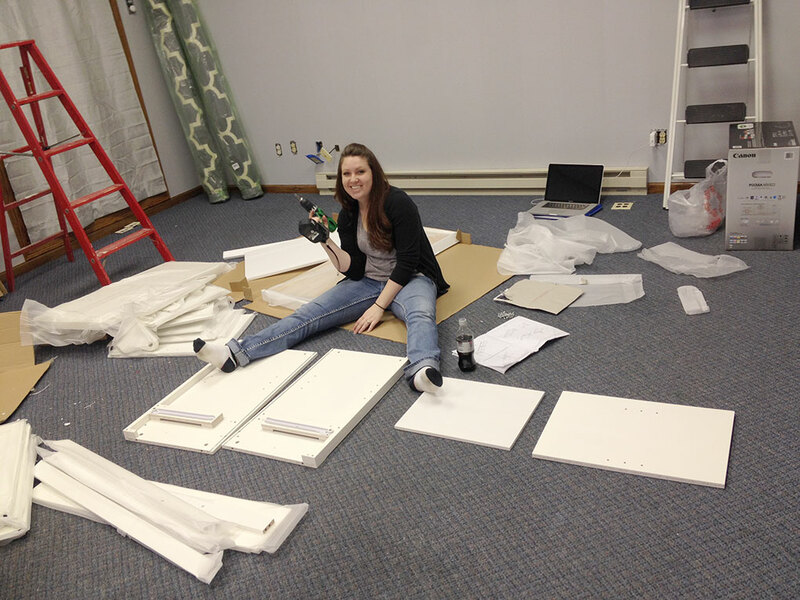 Carrie putting together our desks! 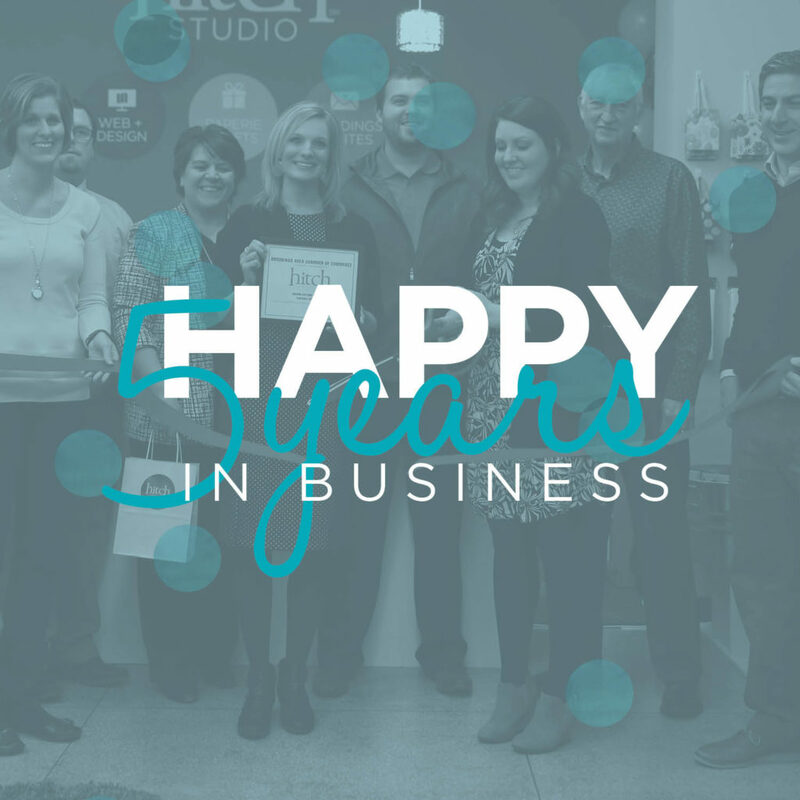 Three years later, we expanded and moved into our current location at 414 Main Avenue in Brookings! That move brought with it…smiles, pride, customers, grant applications, tears, and a lot of trips to Ikea. (We wheeled four carts full of shelving through IKEA and charged it all on 4 separate credit cards just to get their discount.) Good times! Thank goodness for two amazing husbands. 1: The value of culture – We set out to build a business doing what we loved. What I didn’t realize is that we would soon be building a culture for employees and what that meant. Both of us having the heart of a teacher, it was a pleasant surprise and one that we take seriously. We both had amazing mentors in our early professional careers — mentors who showed us the importance of investing in the person, not the position. We want to create a culture of communication, education, growth and support. We are not just employers; we became a family focused on those same values. 2: “Say yes and figure it out after”, may have an expiration date. When we first started, saying “YES” was our absolute favorite word. We wouldn’t turn anything down! From creating a powerpoint for someone to use at their church or graduation party to saying yes to giving away our services for free. We wanted people to know we were here and gosh-darn-it, you could ask us to do anything. We soon learned that was probably not the best business model and it was certainly not sustainable. We were eager, we wanted to grow, and we wanted to be easy to work with. What we learned is that we can be all of those things and still say NO to the things that just don’t make sense for us. 3: Find your tribe, love them hard! So, what is a tribe? I would describe it as the small group of people you surround yourself with the most. They are people who “get you.” They support you and tell you the truth, even when you don’t want to hear it. They value authenticity and growth. They are dedicated to seeing you rise and in turn feel that you do the same for them. They become like family. Ladies, you know who you are and we love you! 4: The importance of investing in your community. For me, it all started when someone asked me to join a small board to better the downtown area of our sweet city. 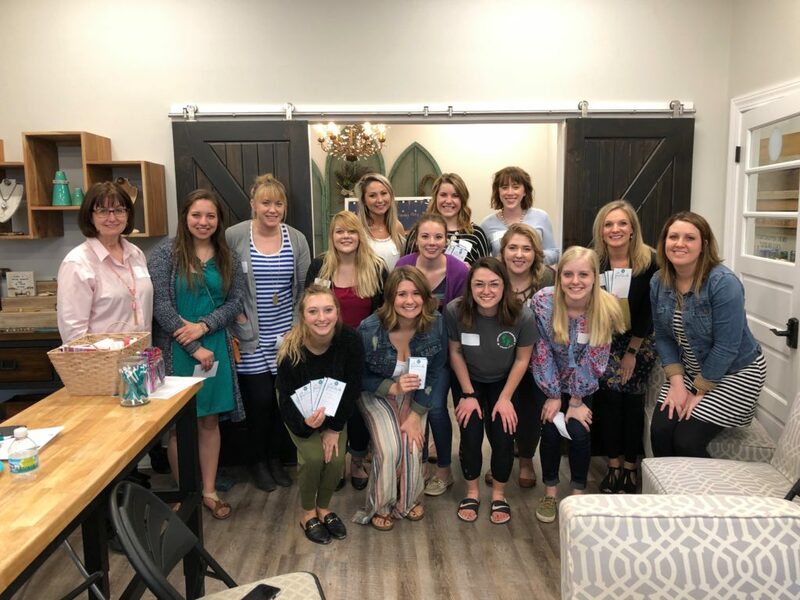 I said yes, and what was to follow was a great lesson on the impact you can make in your community. That snowballed into me joining several more boards I soon became passionate about. The community leaders do want to hear your voice, they do care about your opinion and perspective — you just have to be brave enough to share it. Also, investing in your community is a great way to give back to those that so often invest in you or your business. 5: Take a moment to reflect. One thing I can honestly say I wish I did more of over the last five years is take a moment to reflect on what we have been able to accomplish, big and small. We get so caught up in the day-to-day work, deadlines, hustling for the next client, improving processes and finding ways to grow that we don’t realize what we have been able to do. It’s easy to get discouraged or frustrated being a business owner. We often forget to give ourselves a little grace and enjoy what good has come to us and what good we have given to others. Renee Bauman, the co-owner, event + wedding stylist, wedding invitation designer, and retail specialist at Hitch Studio, shares some her funniest and best wedding memories over five years. There are so many, it’s hard to just pick a few! But here we go…the top five funniest stories — most from weddings we’ve worked! These still make me laugh out loud. Things we’ve found under a wedding head table: We found a drunk groomsman passed out under a head table once and a baggie of marijuana under a head table! We also found the BIGGEST bottle of Fireball I’ve ever seen hiding under the head table too. Unrelated, but a horse showed up inside a reception once. Extreme conditions of weddings: At one wedding, we TOTALLY under-estimated the time it was going to take to take off chair covers and untie the double-layered sashes. Oh my goodness. We were at the reception until 4:00 in the morning still untying them and rolling them up into organized bundles! One (pretty drunk) groomsman stayed and helped us the entire time and we still didn’t leave until the sun was up and birds were chirping. We’ve also decorated many ceremonies and receptions in the blistering heat (we think the whole pig they were roasting for dinner could have roasted without a fire pit that day) and frigid cold (why did I forget my gloves and hat for this tent wedding?! ), high winds (we were chasing napkins and chargers for about 45 minutes straight), and even some with limited access to running water (we were in the middle of nowhere — I mean nowhere. It was fine). Starting small: We decided to start small, and start affordably. 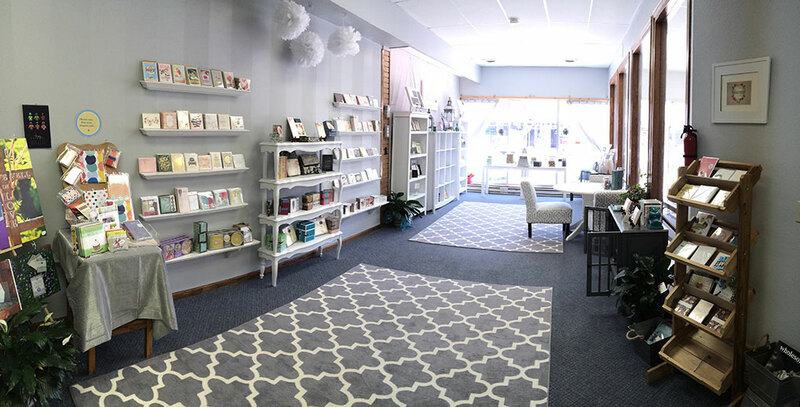 We were so lucky to get a Main Street storefront location that was in our price range! Well, the first hard rain happened that spring and the ceiling inside the store starting pouring rain too! We frantically looked for every bucket we could find to catch it all! When we first started Hitch, I drove a Pontiac G6 to every wedding and event. I knew exactly how to fit seven totes strategically puzzle-pieced into my car. Now we have a cargo van, which we have lovingly named “The Beast”. Our “storage unit” for all the decorations and totes was my unattached and unheated garage at the time. We were PUMPED when we learned about some underground, but heated storage units near our store! Whenever I packed for events down there, I still had to wear a thick coat, it had no cell phone reception, and I’m pretty sure there was blood smeared on the walls, but hey, it was an upgrade! Oh, how we have grown. Now we have an on-site “storage unit” in a room behind our store! It’s heated. It’s clean. It’s ours. We had humble beginnings for sure. 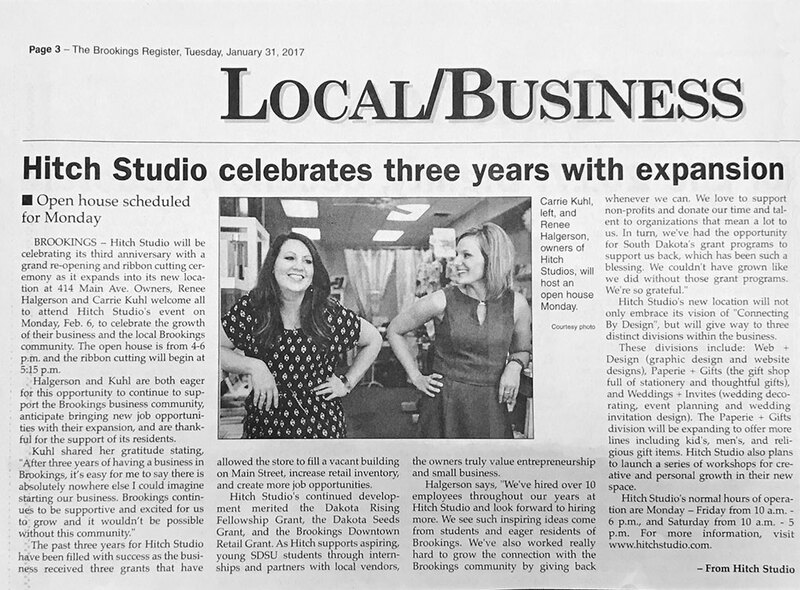 Employee get-togethers: We have 31 employees at Hitch Studio currently, most of which being weekend helpers for weddings. We like to find creative ways to thank them and bring them all together. Plus, it boosts our employee culture to make sure it’s full of support and love. We have giggled during book studies that veered off-topic, we have done dinner etiquette trainings, we’ve done scavenger hunt holiday parties, Carrie and I have had some of the best ideas over beers and cheeseballs. On one trip to Market in Minneapolis, Carrie and I drove around in circles trying to enter this confusing driveway entrance for at least 20 minutes. We still laugh about it! We love each of our employees more than is probably socially acceptable. Things we’re proud of: Carrie is right. We don’t take enough time to celebrate the wins in our lives. We’ve won two very impactful grants in our five years that allowed us to grow into our dream. We have to credit the Downtown Retail Acceleration Grant and the Dakota Rising Grant for opening some doors that were huge for us. The Governor visited our store on a town tour last year. We won the “Doris Roden Downtown Business of the Year Award” in 2017. Both Carrie and I are proud to serve on boards of directors for Brookings, including the Chamber of Commerce, Historical Preservation Society, and Downtown committee. We’re so proud to serve this community! Fifty percent of businesses don’t make it to the 5-year mark. We’re so proud and so blessed to be able to share our dream with the Brookings community and beyond. A sincere and heart-felt thank you goes out to everyone who’s helped us and supported us along the way. Especially our families. You’ve supported us through late nights, working weekends, carrying heavy totes, helping us move, you’ve helped us with everything. THANK YOU. Thank you so much! Cheers to five years!